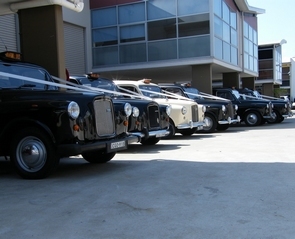 We operate our fleet of London Cabs from our modern offices and Workshops near Manly on the Northern Beaches in Sydney, and we often have visitors dropping in to view our London Cab Wedding Cars. Our London Cabs have been refurbished from inside out, and started their new life here in Australia, it started with just 2 of the Austin Fairway cabs, which are the iconic Black London Cab, we now have up to 7, including a Cream coloured Cab called 'Lily', and so popular it is often booked out 18 months in advance, we also have an original 1948 FX3 London Cab, called 'Kitty', which is currently undergoing renovation. We are always delighted to be invited as the Wedding Car Transport on a very special day in peoples lives, and to share the special unforgettable moments, but to also help in bringing back long lost memories of time in a London Cab. - We tailor your London Cab Wedding Car requirements to suit you best, and in the most economical way. 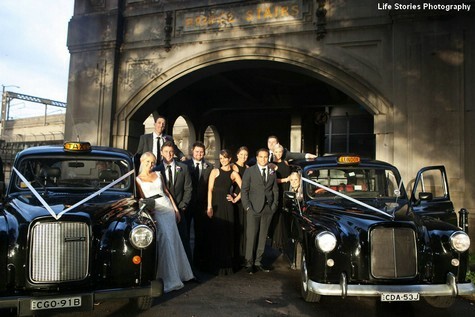 Make your special day a 'LONDON CAB EVENT'. Copyright © 2019 LondonCabWeddings.com.au. All rights reserved.